Opportunistic shore-based observations conducted largely by the sealers gave some early insights and confirmed the regular occurrence, some inshore prey, baseline population abundance and social information. 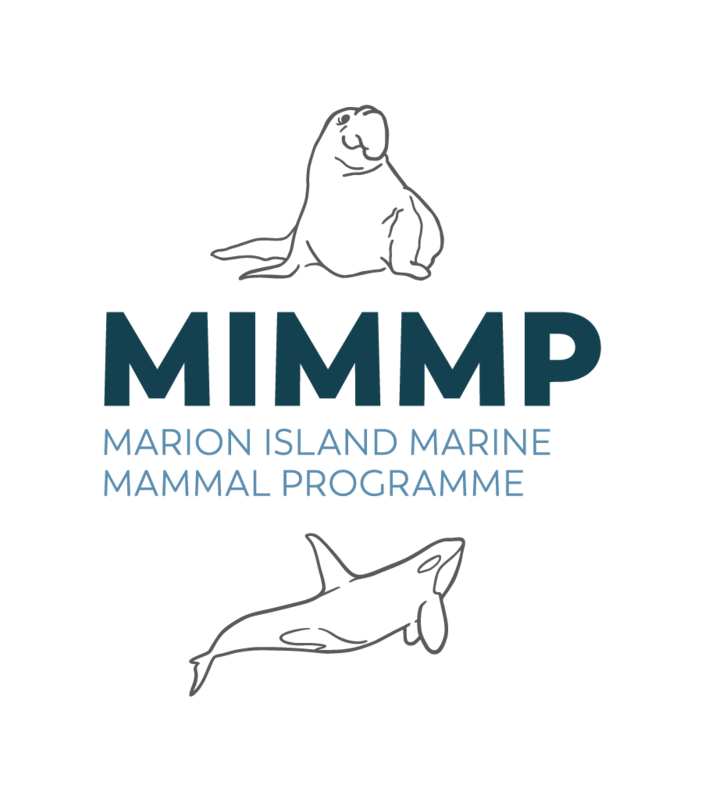 Since 2006 a dedicated effort has focused on killer whale observation, sampling and tracking by expedition personnel specifically assigned to these tasks - and the Marion Island killer whale programme became a fully fledged and dedicated research wing of the Marion Island Marine Mammal Programme (MIMMP). Today, 'sealers' and 'whalers' together perform tasks associated with three seal species and the killer whales at Marion Island. Uniquely, all work is shore-based due to the nearshore visitation of the killer whales. A surprising number of killer whales visit Marion Island through the course of the annual cycle with specific peaks in occurrence at the island during austral spring and summer (October - December) and a smaller peak again during the austral autumn (March - May). Approximately 60 individual animals are catalogued and about half being regularly resighted at Marion Island. A handful of the animals catalogued for Marion Island have also been sighted at neighbouring Îles Crozet (~950km due east). The population at Marion Island seems healthy with the birth of several calves during the past five years. Continued photo-identification work is focussed on delivering data with which to perform detailed demographic and social interaction analyses in years to come. The observed diet is varied, including elephant seals, fur seals and penguins, but by nature of the observation platform (the shore of the island) is obviously biased to what can be seen while killer whales are inshore. A current research thrust aims to elucidate the offshore movements and un-observable diet of killer whales. To assess where they go and what they do out at sea, we are remotely deploying satellite tracking devices on key individuals. Associated therewith we are collecting small biopsy samples remotely, with which to conduct molecular experiments. In this way we hope to improve our knowledge of this population when they are not observed at the island, presumably more at risk from anthropogenic disturbance - i.e. out in the open sea outside of the marine protected areas. Linked with all facets of their ecology are various life history characteristics and biological parameters. A vital parameter to measure is body size, mass and condition. Photogrammetric research in this regard is continuing. Collectively, these research efforts aim to contribute to our understanding of the local, regional and global ecological role of killer whales and alongside the research endeavours on seals at Marion Island we are progressing well in these objectives. You can download our 2014 catalogue (5.46 MB). A high resolution version is available on request. Reisinger RR, de Bruyn PJN (2014): Marion Island Killer Whales 2006-2013. figshare. You can download our 2010 catalogue (2.05 MB).